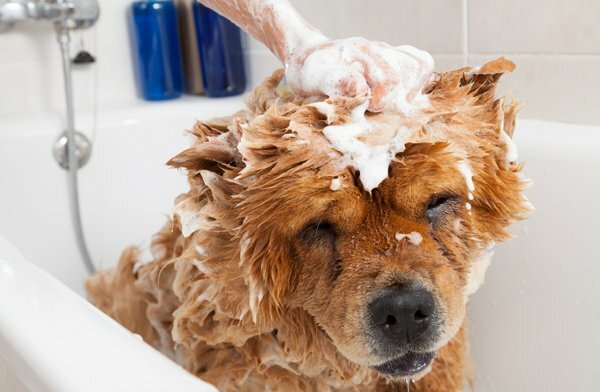 Hair, stains, faeces and other pet messes aren’t only unsightly and unhygienic but they can also pose a health hazard. Even if your pet is kept clean and healthy, dogs and cats carry all sorts of germs in their fur, paws and mouth. These normally aren’t harmful to human health but it’s not impossible to catch something from your furry friend. To prevent this from happening, it is of utmost importance to keep your home as clean as possible. And don’t worry, it can be done. Regular grooming is half of the job. Though some cats and dogs shed less than others, they all shed some hair; and they pretty much shed all the time with varying intensities. Removing pet hair is thus a never ending task. 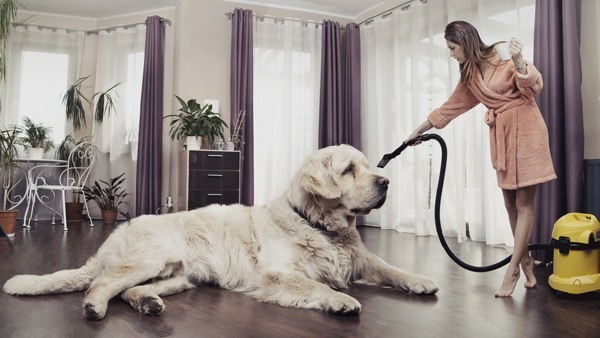 In addition to vacuuming at least every day, you are also recommended to brush your dog or cat on a regular basis which will help you minimise the amount of pet hair on the floor, furniture, upholstery and elsewhere. Use washable covers and sheet throws to protect your floor and furniture. In addition, they will make cleaning a lot easier, especially if you place them “strategically”, i.e. where your furry friend spends most of the time sleeping, playing or relaxing. Since the covers and sheet throws will “trap” most of the hair and dirt, you will have a lot less work with cleaning. Just be sure to wash them on a regular basis. It’s a good idea to keep a towel ready at the door and wipe your dog’s paws when returning from a walk. If you own a cat, cleaning paws can prove to be a little bit more difficult but placing a mat at the cat flap/door will do a major difference. Also, don’t forget to put a mat outside the litterbox. By keeping your pet’s paws as clean as possible, you will make it easier on you to keep your home clean. At the same time, you will reduce the risk of your pet spreading potentially dangerous germs all over your home. 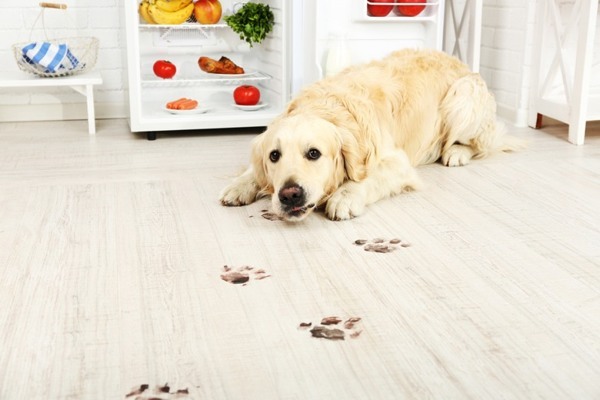 Immediately clean pet stains, especially from carpets. 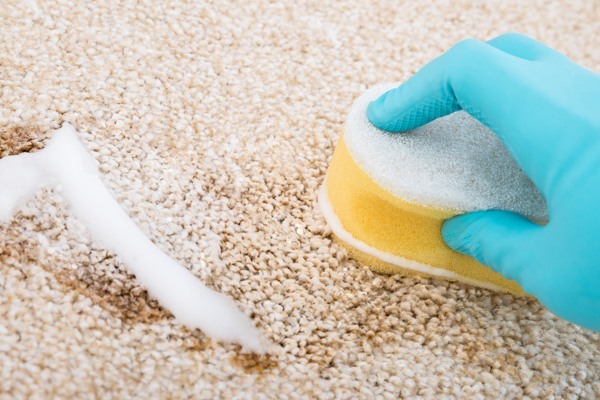 Besides being easier to remove, pet stains are also a lot less likely to leave a permanent discolouration if cleaned promptly. Be sure, however, not to use bleach because it creates toxic fumes in reaction with ammonia in the urine. Instead, use cleaning products that are labelled as safe for pet stain removal. These include the litterbox area, entry ways, eating spots, etc. 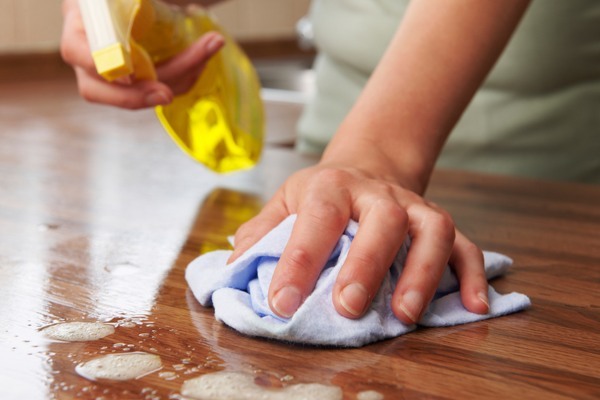 If you own a cat, make sure to always disinfect your surface counters and table before preparing/eating food. Cats are extremely clean animals but it may take some time before they thoroughly clean their paws after using the litterbox. As a result, they can spread Toxoplasma gondii, a parasite which can cause toxoplasmosis, an infection which is especially dangerous for pregnant women and people with a compromised immune system. The parasite is found only in faeces of infected cats but you can never be too careful.